JSK Group LLC is the parent company of The Clam Shack and its sister shops, Aunt Marie’s Ice Cream, The Sugar Shack, and Satellite Doughnuts. All four cluster around Kennebunkport’s vibrant Dock Square and are hiring for the upcoming summer season. We have openings at many levels, from starter jobs hand squeezing lemonade all the way up to veteran fry cooks. There are many slots along the way for ice cream scoopers, lobster shuckers and candy sales. JSK Group offers a variety of great jobs in the heart of our busy summer community. Potential employees who are upbeat and energetic, good with people and ready to become part of a winning team are welcome to apply for the summer of 2018. 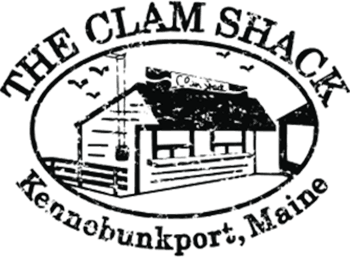 To apply, please fill out the application below and return it to us via email or snail mail it to us at The Clam Shack PO BOX 620c, Kennebunkport, ME 04046. We will contact you for an interview. JSK Group LLC is always on the lookout for outstanding, experienced job seekers with a penchant for seafood, sweets and the quintessential elements of great casual summer dining in Maine. We are committed to making every visit to our venues memorable through exceptional food and stellar service. We have potential openings in both front and back of house management, including a working chef/manager and an overall operations assistant. The right candidate has strong leadership skills and a commitment to a pristine product and kitchen. You are flexible and quick to acclimate, and bring a hard work ethic and a strong background with you. While year round employment is a possibility, these positions could easily complement an employee’s schedule that already has a winter commitment.